Too late but here's mine anyways! Anyways . All working control surfaces. And it does fly.... 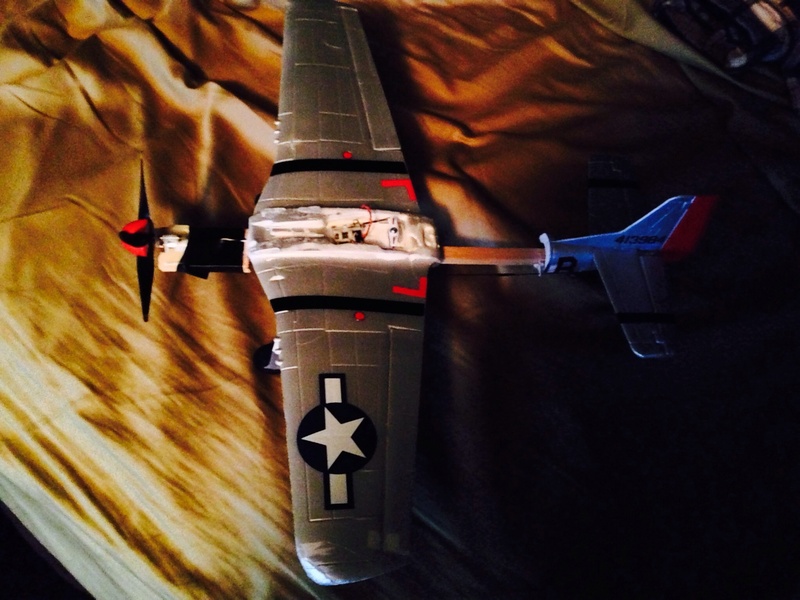 It's fast, I replaced his plane with my t28 so my nephew could keep learning. A shame it's late, but there will be more compitions -- a "holiday" one is just starting, and we're looking at a "melding" compition (melding two or more plans into one) in the early spring. Let us know how this littl' guy flies! Well anyways I may try to get a video or two. But it does fly pretty well. And this was in 9 mph winds. Man that as3x is awesome... Well anyways, bummed I missed it. But hey at least it's awesome to do it anyways. The "wierd high alpha" speaks to me of "very tail heavy," but sounds like you've gotten that a little better balanced. The rain however, cannot be helped. Here's to clear skys for you! I wonder how much the as3x is "helping" you . . . It may be helping too much. It's a pretty clever system, and the more recent variations have been extreamly clever -- I wonder if you lack elevator authority because the AS3X controler is automatically giving a high "up" to keep it level, but then can't go much further up, because it's out of throw. 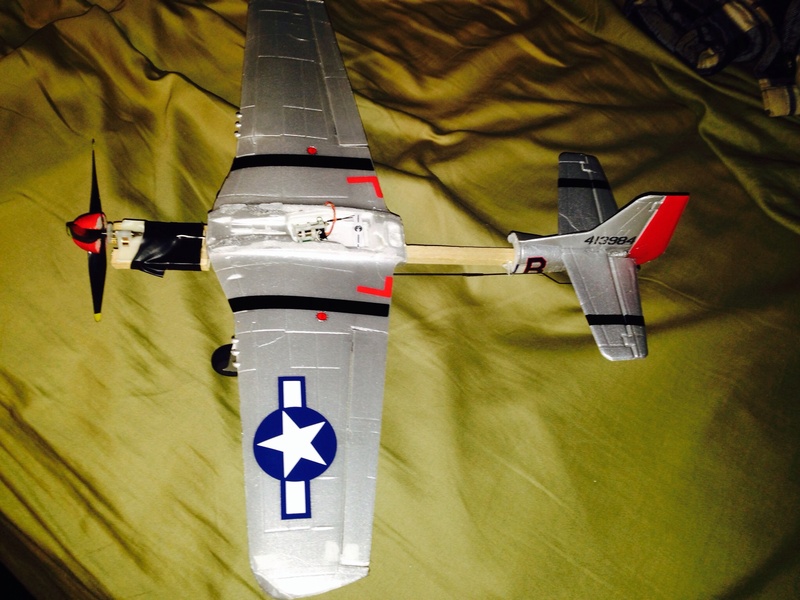 I haven't played with the UMX P-51, but other HH UMX planes have a "U" shaped bend on the control rods to "center" the servos -- squeeze with pliers to move the neutral position of the surface one way, bend outward to move neutral the other. If yours has that, give the elevator's U a pull before the next flight and see how it does. Moving the wing back solved (or close to solved) the tail heavy condition, but it also shortened the moment arm the elevator can effect the airframe with. If possible, try moving the wing back forward after checking where on the wing it is balancing currently. After moving the wing forward, make it balance in the same place on the wing it was when it was 1/2" back but making the stick longer to get the motor and battery further forward. DT foam board is cheap . . . . Still can't get it to bind to ANY of my radios... No evidence of physical damage to my board.. Still sorting things out.